It took me a little while to find the perfect pieces for a fall table scape that could rival a pottery barn display, and although it is in no way perfect, here is my kitchen table decor. 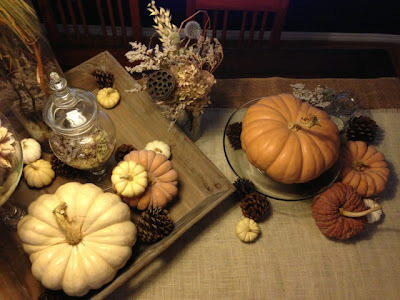 I purchased fairytale, cheese, and white pumpkins from whole foods; pine cones, vases, apothecary jars, and dried flowers from www.save-on-crafts.com; mason jars and candles from Michael's, and a burlap table runner from pottery barn. I hope you enjoy, it's a bit crowded but we mostly eat at the coffee table (don't judge). Thank you. It was pretty simple to do as well. 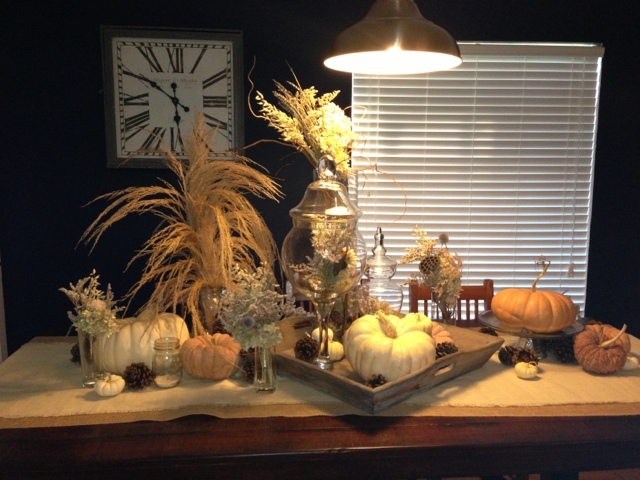 I cannot wait until it is time to decorate for Christmas! Can't wait to see some pics of what you do for Christmas! I'm working on it! 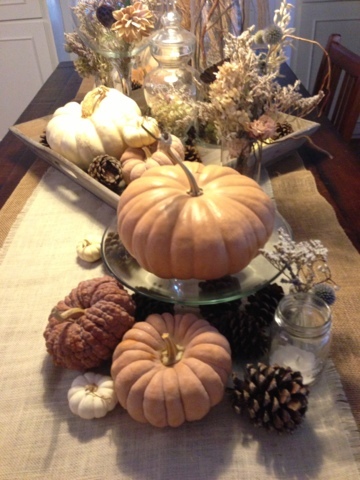 It was sad to get rid of our pretty pumpkins, but I am loving my winter table so far! I'll have pictures up soon i promise!